Mysore pak is a very popular rich sweet dish usually made out of lots of ghee and chana/kadle hittuOver the time this sweet underwent lots of modifications, now Mysore pak can be prepared with refined oil or ghee and oil. 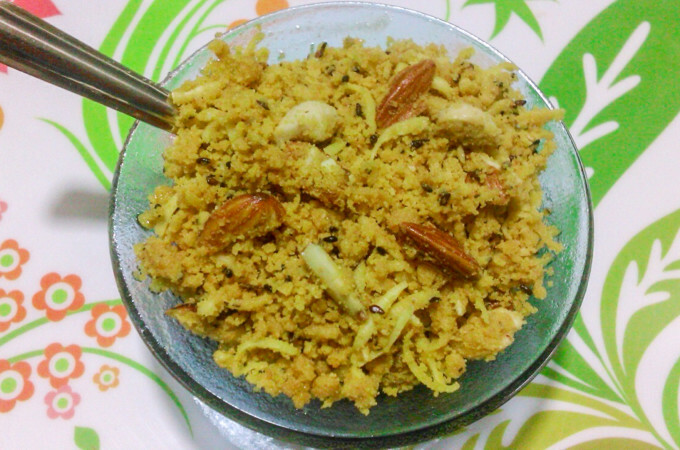 Another modification is using hurigadale/fried gram dal/putani flour /hittu to make this sweet dish. This is very easy to make and super delicious, tastes more like real Mysore Pak using gram flour. Here is the recipe. We wish all our readers a Very Happy Ganesha chaturthi. May God Ganesha bless you all with good health and ample wealth. Ganesh Chaturthi or Vinayaka Chaturthi is one of the most important festivals in Karnataka. Traditionally, it is celebrated by almost each and every household. Ganesha – god of removing the obstacles, before the beginning of any good deeds we pray Lord Ganesha and then start the work. We offer Ganesha, his favorite dishes like Modakam, chakli, Black chana usli/Sundal, kadubu and this Panchakajjaya. 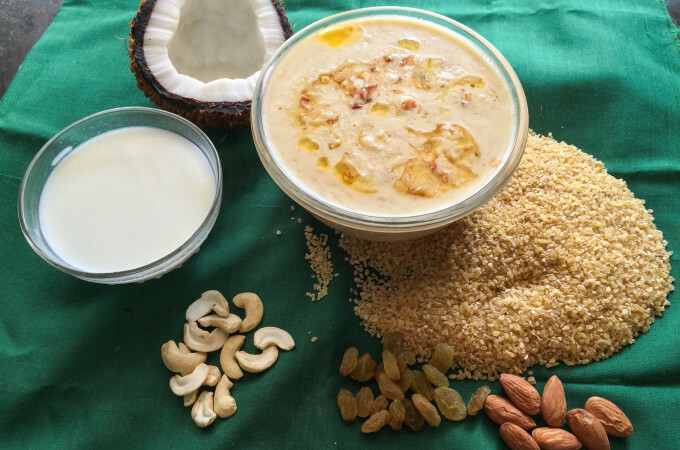 Pancha kajjaya can be prepared with chana dal, moong dal also with puffed rice/Aralu on Ganesha festival, or if you are doing Gana homa, ganesha pooja at home.. Pancha means five and kajjaya means sweet. 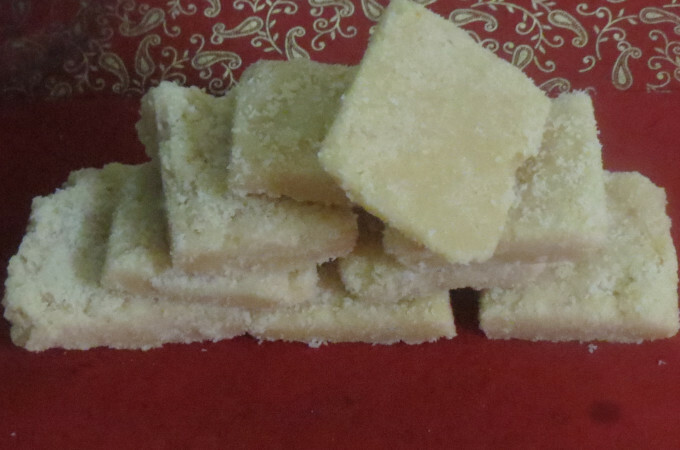 Pancha kajjaya is a sweet with 5 ingredients. It is festival season in India. Started with Bheemana amavasye where girls/women worship shiva as the light of life. Next comes Nagara panchami . And then the major festivals Gowri and Ganesha festivals. Every home is decorated with colorful rangoli and maavina torana.So much fun and wonderful to be there in India during these festival times. Following this Ganesh festival we have Navaraathri. We make varieties of dishes to offer to god. 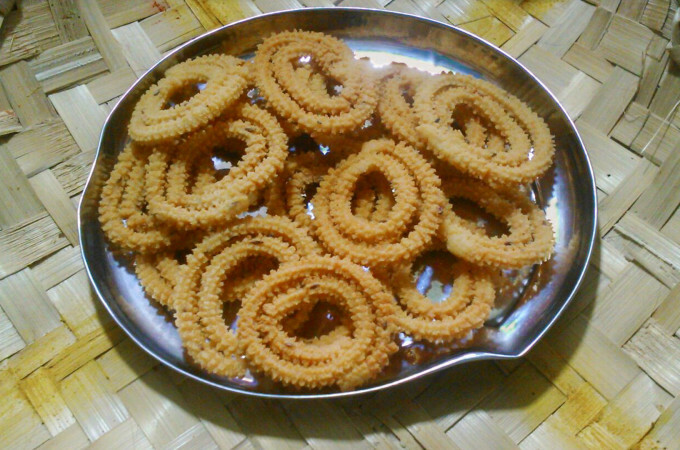 And chakli is one of them Chakli is one of the all time favorite snack.